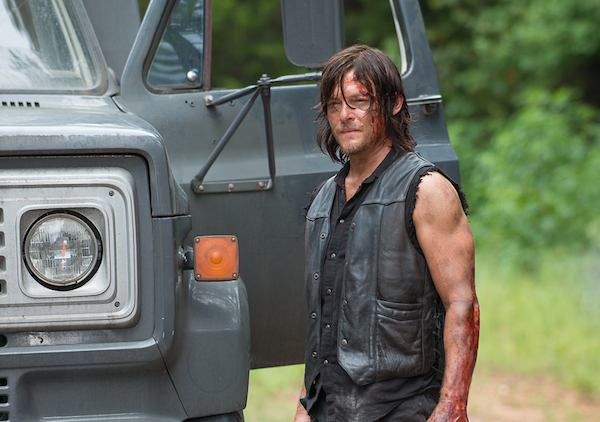 We’re getting pretty damn close to the midseason premiere of The Walking Dead. Since the last episode “Start To Finish” aired at the end of November, we’ve been dying (and coming back to life) for information about the back half of Season 6. The team behind The Walking Dead has been pretty tight lipped about what will happen, but AMC just released the first few images from the midseason premiere. Of course, the stills don’t reveal any serious details about the episode, The Walking Dead is very good about keeping us in the dark, but we can infer a few plot points from what little footage we’ve been shown. Let’s break it down the images, via AMC. This image of Sasha actually reveals some information to us as. For one, we know that we’ll definitely see the trio of Daryl, Sasha, and Abraham in the midseason premiere. Since The Walking Dead tends to focus on certain characters every episode while neglecting others, it’s exciting that we’ll apparently be seeing all of our group of survivors in one way or another. Sasha seems to be in the same position she was during the post credits scene from “Start To Finish”, where Negan’s name was uttered for the first time; once again, we’ll be picking up exactly where we left off when TWD returns. The final bit of information we can surmise is because Sasha’s hand is on her weapon. It appears she’s not quite ready to lie down and let the gang of bikers take the trio’s weapons, so maybe we’ll see a gunfight between the two groups. 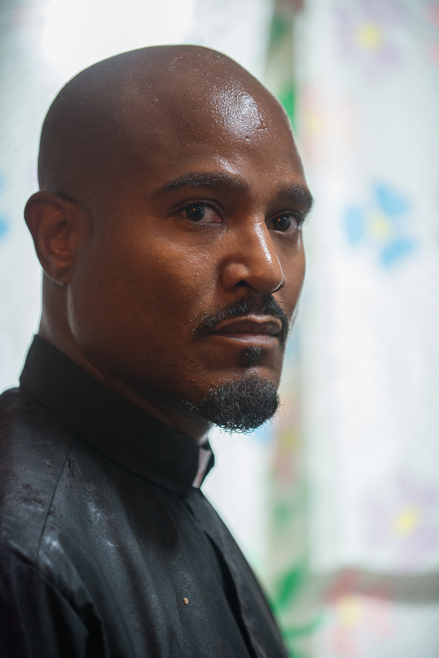 This image of Father Gabriel seem pretty standard, but it does give us some hidden information. Most importantly, this image reveals that he does indeed survive the terrifying walk through the horde of zombies. Since he’s no longer wearing his zombie guts sheet, it appears the strategy worked- at least for him. Overall, he seems in good shape so it doesn’t appear that he was injured or lost a limb during the impending struggle with the zombies. While comic book fans have been anticipating a very bloody moment in the zombie walk, it’s unclear as to whether or not The Walking Dead will follow the comic source material. Since “Start To Finish” ended with the always annoying Sam calling for his mother in the middle of the herd, we can assume that something is going to go down in the first few minutes of the premiere. The Walking Dead returns to AMC on February 14th. While we know very little about what the back half of the season has in store, we can presumably look forward to a trailer coming our way soon. We’ll continue to update you on information as it becomes public.